Butterfly Crush is a modern love story about a Sydney song and dance duo, who threaten to self-destruct on the brink of fame when one joins a virtual dreaming cult in Kings Cross. Artmedia produced this film last year, based on Alan Clay's novel, Dance Sisters. The film enjoyed a theatrical release in New Zealand last year. The film has just capped off a string of successes in the States by winning Best Feature Drama at the Indie Gathering Film Festival in Cleveland, Ohio. This follows the film winning a prestigious Award of Merit from the Accolade Competition earlier this year and official selection in festivals in four states. The film is due for release in Sydney and Melbourne in April. You can find more information on the project at www.butterflycrush.net where you can also find a 4-minute trailer. Playspace Training with Alan Clay provides a physical and irreverent approach to clown. Reconnect with the playful, inquisitive, cheeky, clown spirit in a beautiful outdoor setting, overlooking the mouth of the Wanganui river in New Zealand. Check out the Clown Summer School in January. Aerialize is an innovative theatre group that combines the art of dance, theatre, gymnastics and circus in an aerial environment. Aerialize have been thrilling local and international audiences with death defying feats of grace and beauty on the trapeze, rope and web. Check out information on their evening classes, and their performance projects in Sydney. Theatre LOTE, is an Australian theatre company providing innovative bilingual performances for theatre festivals and schools. Our productions are �boutique� in nature, with casts of two to three multi-skilled performers, and have strong music-theatre, visual and physical theatre components. Broadway and Co - is a contemporary Australian circus company presenting touring shows, a range of roving and site specific performances, as well as workshops and training opportunities. This newsletter has evolved over the past nine years, into an industry wide publication with an Australian focus and a global perspective. The newsletter carries information on circus, clown, mime, theatre, dance, and street theatre events worldwide - with information on festivals, classes, and news on physical theatre groups working in Australia, New Zealand, America, Canada, Europe, England and worldwide. Check out the archive for the Physical Theatre newsletter: 2002, 2003, 2004, 2005, 2006, 2007, 2008, 2009, 2010 and 2011. Enter your email address below to receive this newsletter each month. Check out the site for the Wanganui Literary Festival in New Zealand. In line with past festivals, 2011 offered an eclectic and fascinating variety of readings, lectures and theatre. New on the site this month, New Zealand author, Joan Rosier-Jones, has information on her writing retreats and popular books such as, 'So You Want to Write' and 'Writing Your Own Family History'. Alan Clay's books, Dance Sisters, Believers in Love and Angels Can Fly, have been released for the Kindle. These can be read on any mobile device or computer, as well as on the Kindle Reader itself and download from Amazon. 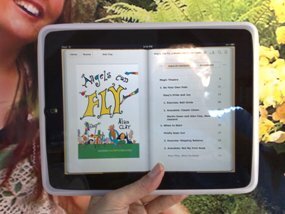 The books are also available for the Apple iPad through the iBooks app at iTunes. And they are also available for the Kobo reader, which can be purchased through Whitcoulls or Borders or Angus & Robertson. Alan Clay's book, Angels can Fly, a Modern Clown User Guide, is a textbook for a fast changing art form. The traditional approach to teaching clown is routine or gag based and this sits uncomfortably with teaching practices in modern performing arts education and with today's audiences. In addition to anecdotes from 20 clowns from around the world and stories following the adventures of 10 fictional clowns, this book includes a total of 50 practical clown exercises appropriate for workshops or performance, developed by Alan through 30 years of teaching in Australia, Europe, America and New Zealand. Angel's Can Fly has been released for the Kindle and can be purchased from Amazon. It's available for the Apple iPad, and can be purchased through the iBooks app at iTunes. The eBook can also be purchased for the Kobo reader in New Zealand through Whitcoulls or in Australia through Borders or Angus & Robertson. 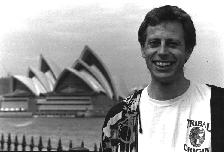 South Australian author Adrian Rogers, has three fantasy novels published as e-books - on CD Rom or by direct download. And his third book in the Hidden Kingdom Trilogy, Alignment, is now available. "Merlin, laid to rest in dark-age Britain in his Crystal Cave has awoken in fulfillment of a prophecy, as Pisces moves into Aquarius and the 2012 Galactic Alignment is less than four years away." "A heart warming story about two street clowns, swept up in the occupation of New Zealand's last Victorian theatre." 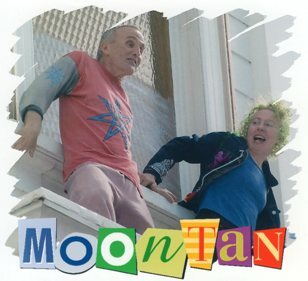 Alan Clay's short film Moontan is available in a DVD compilation including the 15 minute short, a 30 minute rough cut, a twenty minute 'Making of Moontan' documentary, and a two camera split-screen extra clown performance (total: 72 min. ), US$14.95 from Create Space. Artmedia Publishing is run by Alan Clay. Subscribe to our Physical Theatre newsletter at the bottom of this page. Our monthly Physical Theatre Newsletter has been going from strength to strength, and we have created an archive of back issues, which you can now browse on our Physical News page. Last updated: 17 February 2012 - This site published by Artmedia Publishing email: epublish[at]artmedia[dot]com[dot]au The content of this site is copyright, and no part may be reproduced or transmitted in any form for commercial purposes, without permission in writing from the publishers.